How lovely and informative. My favourite shot is the Hare on hind legs snitching the bird seed. Thanks Sybil. 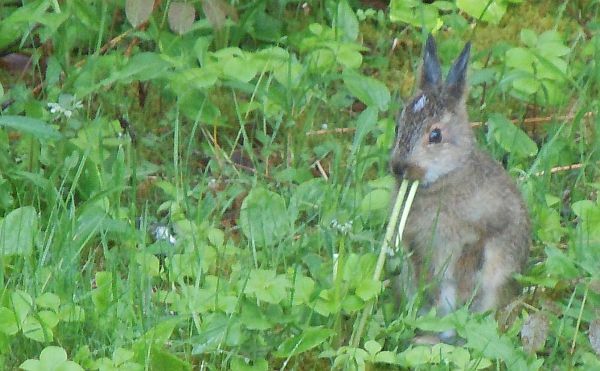 The hare eating seeds was a pretty amazing sight. Oh, that is absolutely delightful. I love the pictures and the descriptions… so tenderly affectionate. Reggie, those hares are pretty loveable. 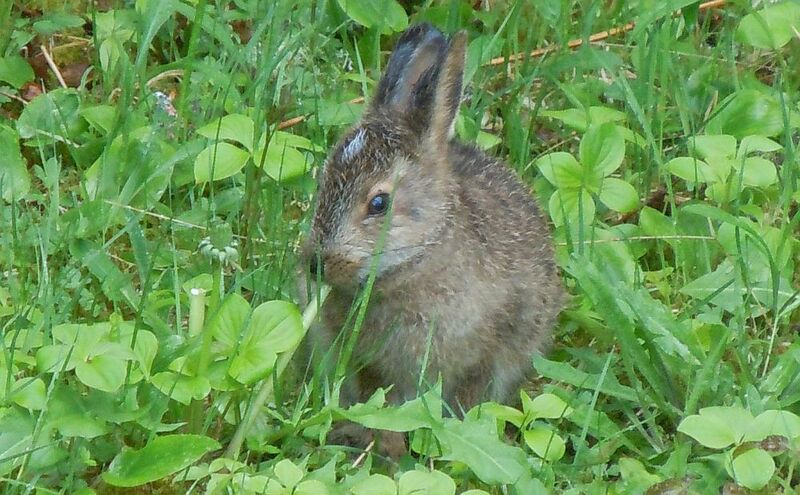 Decades ago, I read Lockley’s ‘The Private Life of the Rabbit’ and was in awe of the complex nature of these creatures. Back then, I used to make drawings of rabbits and hares, never having seen one with my own eyes. Now whenever I look out my windows, one is likely to be there. It’s funny how these things work out in life. 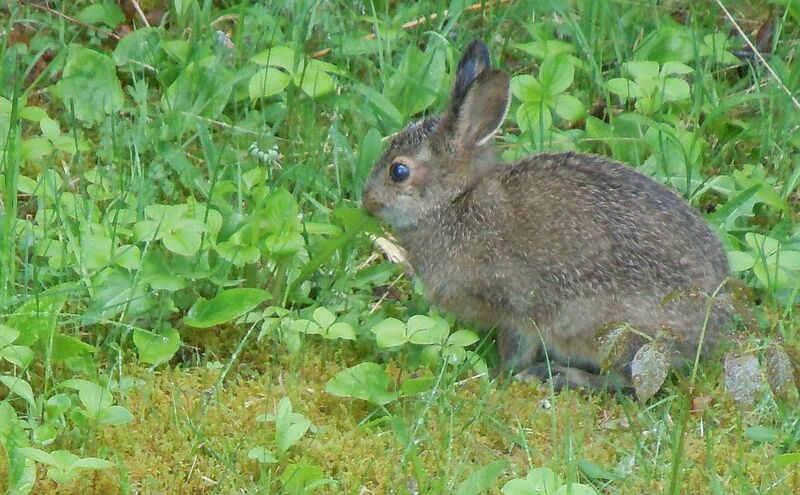 I have a little hare who comes into the yard on an irregular basis. He/she is so cute. I think the hares are scarce around here. (coyotes) and this is the first one I have seen in years. 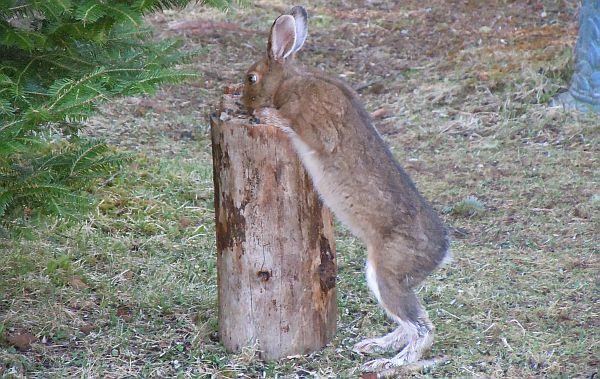 Bonnie, the coyotes and bobcats certainly do affect the hare population. The little ones are especially sweet to see in the yard. They do grow quickly though. Thank you for sharing…I am always able to find a moments worth of Peace when reading one your posts. Anne, thank you for letting me know 🙂 So glad you enjoy the posts. I love the final picture especially – it looks as if the hare has come across an especially delicious Christmas tree. 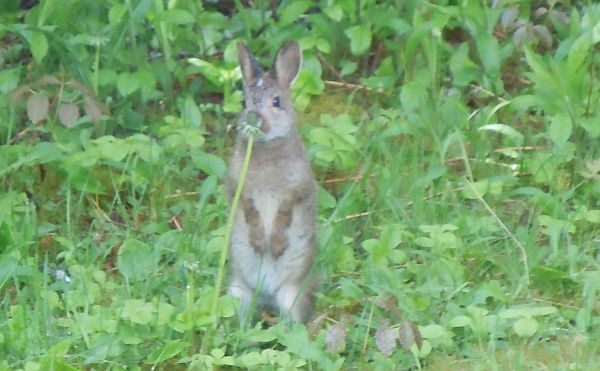 Speaking of which, it is my theory that bunnies/hares are so alert and fidgety and nervous is that they are fully aware of how delicious they are! Aubrey, that is funny 🙂 You are probably right. Happy New Year Amy-Lynn and thank you for this lovely post. I hope all is well with you and yours. Those are very engaging hares.